6th November 2012 was declared as the first Food Bloggers Day. 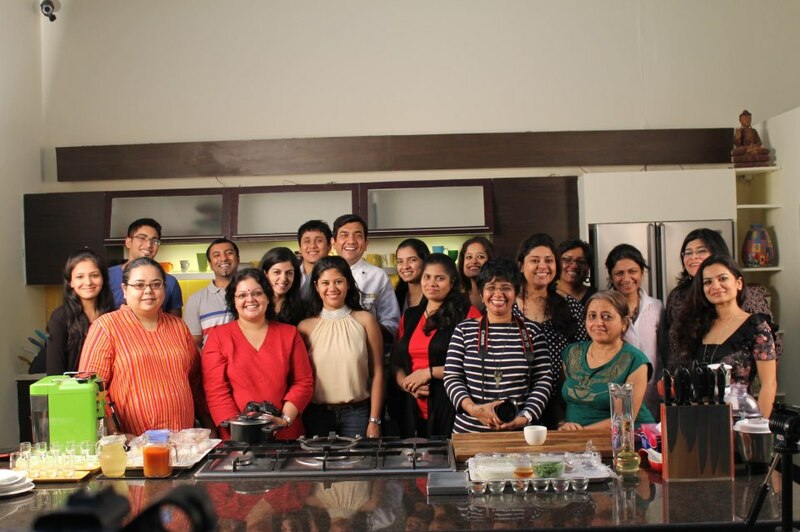 We were invited to Chef Sanjeev Kapoor’s studio to cook up some delicious recipes with him. Food, conversations and a lot of fun, the experience was unforgettable! Here is a video that we shot of the Masterchef himself, cooking up a Diwali special recipe!